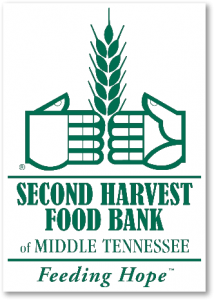 We need your help serving more than 300 families who will visit us! 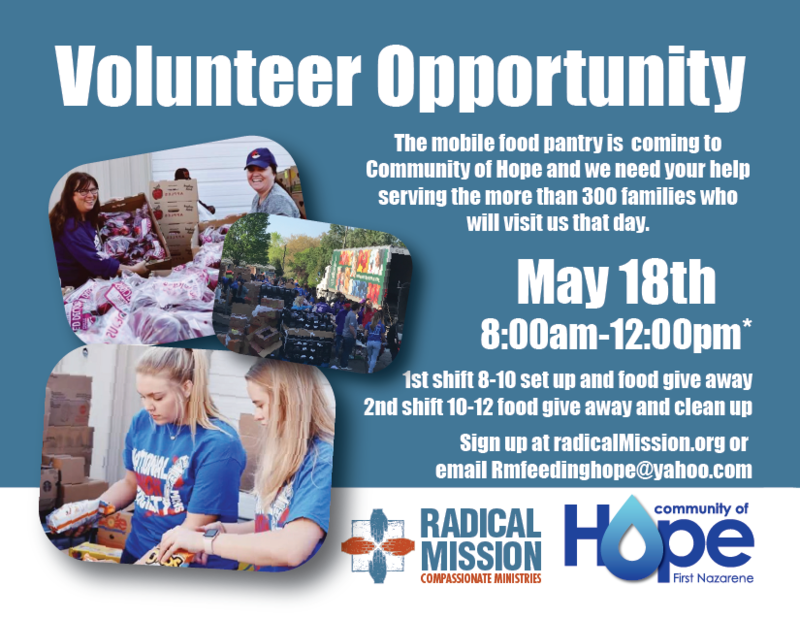 Manna Café will conduct a Mobile Pantry food giveaway on Saturday, May 18th, in partnership with Radical Mission Compassionate Ministries at First Church of the Nazarene at 150 Richview Rd, Clarksville. This event will begin at 8 a.m. Anyone in the community needing assistance with groceries is welcome. One food box per household. A valid ID must be presented. Manna Café Ministries is a faith-based organization devoted to meeting the needs of homeless and low-income families in Montgomery County. Each year, Manna Café provides food boxes and hot meals to 20,000 local residents.